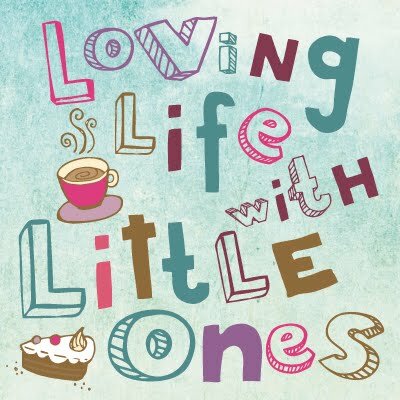 Loving Life with Little Ones: And down it went!! On a damp and dreary Sunday afternoon there is nothing like the words 'hot chocolate' to bring instant smiles to the Little Ones faces. We all needed a bit of fresh air and so off we went to our favourite cafe on the canal. We arrived late morning and so along with the hot chocolate came doorstep sandwiches and saucer sized tea cakes depending on everyone's choice of an early lunch, the children tucked in with gusto. After we'd had our fill and the children had played with the cafe's toys and done some of the christmas colouring they had kindly left out we headed out for a short stroll and to feed the ducks. The girls are duck feeding pros and got straight to it, throwing in their bread. Little 3 however had obviously not had enough lunch and decided to eat his bread rather than throw it to the waiting ducks (luckily it wasn't mouldy or anything), he stood there watching the girls, chomping away! Prior to going out Little 2 had been wearing her Anna dressing up dress, her tiara, a necklace and bracelets on each wrist, and she had decided not to remove them when she had got changed ready to go out. That turned out to be a bit of a disaster, as she threw in a piece of bread her bracelet flew off her arm and landed on the back of a surprised looking duck swimming in the canal and slowly slipped into the water, and down it went. Gone. Although Daddy looked and poked a stick in the water for a bit it couldn't be found. It turns out that particular plastic bracelet with the flowers and hearts on was her very favourite bracelet acquired from a party bag some time ago. She was devastated and genuinely rather upset. We tried to cheer her up and after a cuddle carried on with our stroll but it wasn't really working! I did not realise that bracelet meant so much to her as she hardly ever wore it, it lived in her jewellery box, but she told me 'that was because it was special'. We couldn't even make her giggle like we usually can, I had hoped to take a picture of the three Little Ones together with their wellies but nothing was going to coax a smile out of Little 2 after that. She perked up once home and wasn't grumpy any longer but she became tearful and cried several times throughout the afternoon and at bedtime, she really had loved that bracelet. At bedtime I snuggled up with her and we chatted until she was happy again, it is her birthday not long after christmas and we discussed getting her a 'big girls' silver bracelet rather than a plastic one which she thought was a great idea, obviously nothing expensive as she will only be 5 but still I hope it will make up for the lost one.